During the Maoist insurgency in Nepal between 1996 and 2006, the shamans have been the target of revolutionary cadres eager to eradicate superstitions and impose the rule of reason. Several researchers have written about the conflicts that this cultural policy produced. I myself have published some case studies of rebels confronting shamans among the Kham-Magar in Western Nepal. Most of these cases concern the relationships that people have with their local environment and, through their shamans, the supernatural entities that are supposed to own the locality. 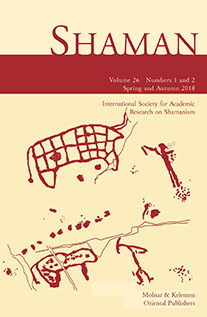 As part of this conference on the shamanic complex responses to various forms of exploitation, I propose to revisit these cases observed by myself and other researchers and reflect on the terms within which these conflicts are presented by the people who were affected by these conflicts as well as by the anthropologists who have analysed them. We will try to understand why the opposition between rationality and irrationality that underlies many debates leads to a dead end. This paper discusses the lineage of the â€œwise peopleâ€, jaguar shamans and savants in the Arawakan Northwest Amazon. Throughout history, they have led the struggles against state military governments of Brazil and Venezuela asserting the greater power of their primordial shamanic deity over the secular forces of the state. In introducing the narratives of these struggles, this paper first examines the intimate relation between shamanic power and the sacred landscape (or â€˜mythscapeâ€™) consisting of petroglyphs and â€˜stone-housesâ€™ of spirits throughout the NW Amazon. Also, priestly chanting powers to protect humans from the dangers presented by the spirit-world and the â€˜external enemiesâ€™ are considered. Then, I examine several oral narratives of the jaguar shaman â€˜wise peopleâ€™, showing how their shamanic powers to foresee, to translocate, â€˜death-and-resuscitationâ€™, to reveal potential sorcery — were and are still critical to their peoplesâ€™ survival, well-being and autonomy. The souls of seer-savants return to their tombs, while the primordial shaman is eternally present in a storehouse located at the center of this world. Pilgrimages and offerings to the tombs and house of these protectors are an important tradition in the region. Field research conducted among Ladakhis and Tibetans indicates that a belief in shamanism has been actively preserved until today, along with a devotion to Tibetan Buddhism. For example, the LÃ¶rol ritual festival celebrated by the Amdo Tibetan communities in the Repgong area of Qinghai Province cannot be quintessential without the full involvement of village shamans in the festival: the presence of local deities embodied in shamans is required. Among Ladakhis in Western Tibet, the belief that shamans embody the power of local deities is still firmly maintained, and the number of those who visit shamans has not decreased. Moreover, as was shown by the appearance of Nechung, the Chief State Oracle of Tibet, possessed by Dorje Drakden during the Kalachakra Initiation by the Dalai Lama in Ladakh in July 2014, the embodiment of a deity serves as an occasion for making laymen believe in its power. Shamanic power also plays a key role in Tibetan Buddhist tradition. Thus, shamanism, diverging from the local practices of village shamans to the state-level practices of the Nechung Oracle, has provided the foundation for the religious landscape of Tibetan societies. Shamanistic research of Tibetan societies to date has focused mostly on different aspects of local shamans as healers or diviners. However, once shamanistic practices are reappraised in terms of the interactions between shamans and clients/laymen, a new role for the shaman as an agent for reconciling communal conflicts in the communities can be revealed. This presentation aims to explore how shamanic power works as an agent for reconciling or transforming communal conflicts, using case studies of Ladakhis and Tibetans. This paper deals with the shamanistic-like phenomenon of Afro-Cuban religiosity and, more particularly, divination. Tracing its origin from the colonial era and the expansion of the slave trade, Afro-Cuban religiosity has historically been a marginal yet popular (to certain sectors of the society) phenomenon. This has been the case up to the present and it can be argued that there has definitely been a surge of initiations and intensification of intimacy of the Cuban population with these religions after the 1990s and the collapse of the Soviet Bloc. I intend to explore, firstly, the everyday practices of Afro-Cuban divination in the context of creating alternative sacred landscapes within the urban setting of Havana. Secondly and most importantly, I wish to extend this production of sacred space to a larger discussion of the relation between Afro-Cuban religiosity and Cuban politics. More particularly, the dominant understanding by scholars of such phenomena is that they offer a kind of post-colonial critique to the historical situation of slavery and its inhuman conditions, as they are projected into the present. I wish to adopt a different approach and explore an alternative avenue of understanding. In few words, I am looking at Afro-Cuban religiosity and divination, not as a way to remember or express directly political and racial subaltern identities but up to an extent go beyond them. Thus, I use a dialectical approach to hightlight the tension between past and present, remembering and forgetting, conflict and reconciliation. The Kulalao village of Paiwan tribe in southern Taiwan has preserved the origin legends of the famous Five-Year-Ceremony(Maleveq) and shamanic rituals. Creating ancestors in the legend is in accordance with those in the shamanic texts. However, in the historical processes, the original Girhing chief family of Kulalao village was once suppressed by the latecomer, the Tjiluvekan chiefâ€™s family. The conflicts and competitions of the two chiefsâ€™ families have existed for decades. They both claim that the ritual founder Lemej is in their camp. This paper will examine the different interpretations of the legend and shamanic texts, the chiefsâ€™ efforts of initiating new shamans, and the impact of the recent policy of the intangible cultural heritage registration.